Surfing Heritage & Culture Center: But Where's Goofy? Another Gem from the Takayama Family collection, now on display at the SHACC. 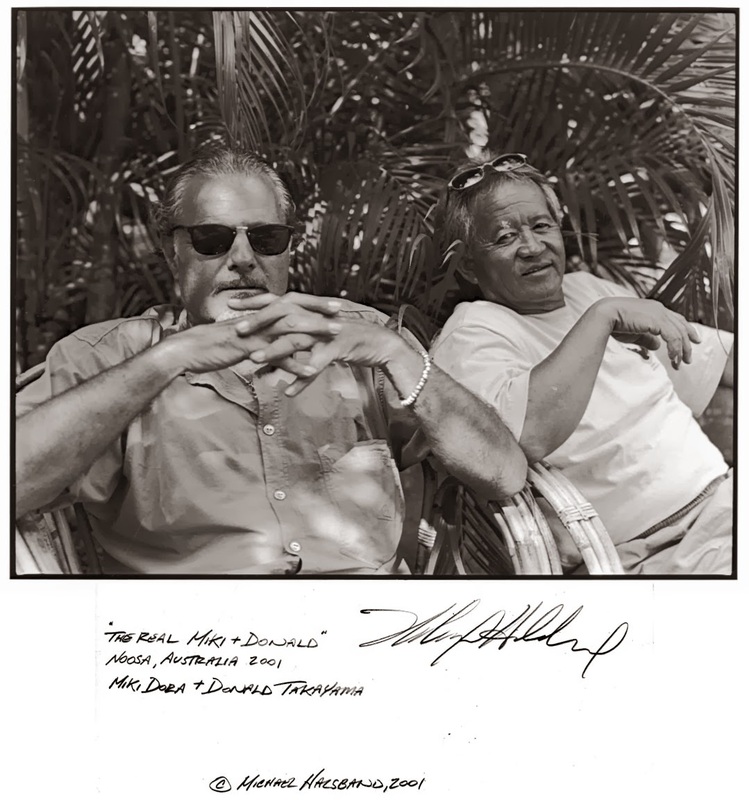 Two legends that left too soon—Miklos Sandor Dora and Donald Moke Takayama. Mickey (Miki) and Donald. Photo by Michael Halsband taken at Noosa, Australia, in 2001. There's some heavy tip time taking place up in heaven!